Getting an early start after a breakfast on the gas station forecourt, we arrived in Guwahati, the largest city in the north-east by quite some margin, at around 2:30. We were forced to negotiate quite hard against the cities many one way systems before we were permitted to get to the centre, but with persistence we managed it. 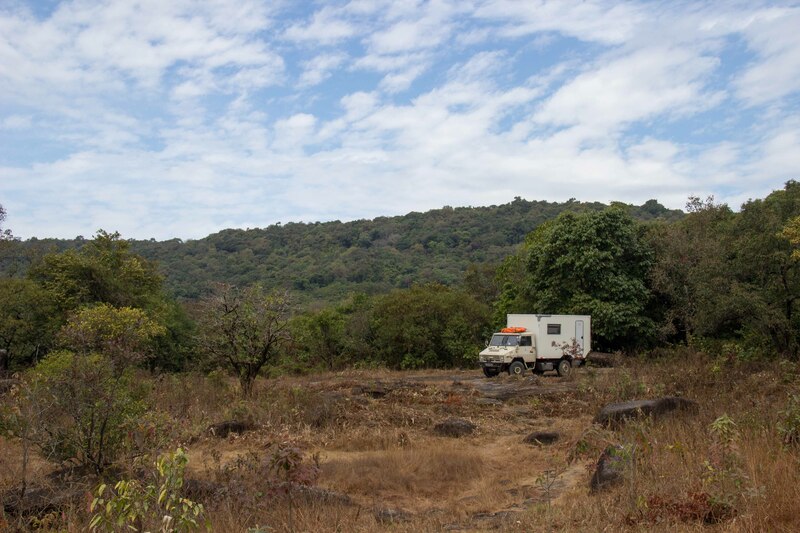 It was so busy that we had to opt for a hotel if we wanted to park Ivor anywhere near the centre – and we had some errands to run the next day – and we were happy enough to make use of their internet connection and air con for the night. Justifying the expense with any excuse that came to hand, we went to an upmarket hotel just down the road to dine in their restaurant. And very nice it was too. For a long time, the states in the north east have needed special permits for foreigners to visit them – and over the last 2 years they have been faded out, abolished, reinstated, become superseded, and in some cases have been forgotten about all together. The upshot of this nonsense is that none of the information available on the internet these days can conclusively answer that all important question: Do we need one? The uncertainty even extended to the Tourist office in Guwahati, who claimed that to enter Meghalaya and Manipur we would need to apply. Manipur, at least, was essential for us, since it was located between Assam (our current location) and the Burmese border. The lady at the office was far more keen on shovelling leaflets in our direction than actually listening to what we had to say, and we left the office quite confident that she didn’t have a clue what she was talking about. It was only on entering the permit office of the Network Travel travel agency that we would learn once and for all that we needed nothing other than our passports to travel through these areas. Once someone that stands to earn money through processing a permit tells you it’s not necessary, you can be pretty sure you’re getting the right information. … and all too many open sewers. The National level government likes to turn a blind eye to the North East – and it shows. Is there no limit to what can be built with Bamboo scaffolding? Reflective vest, but perhaps flip-flops are not the most protective of footwear. 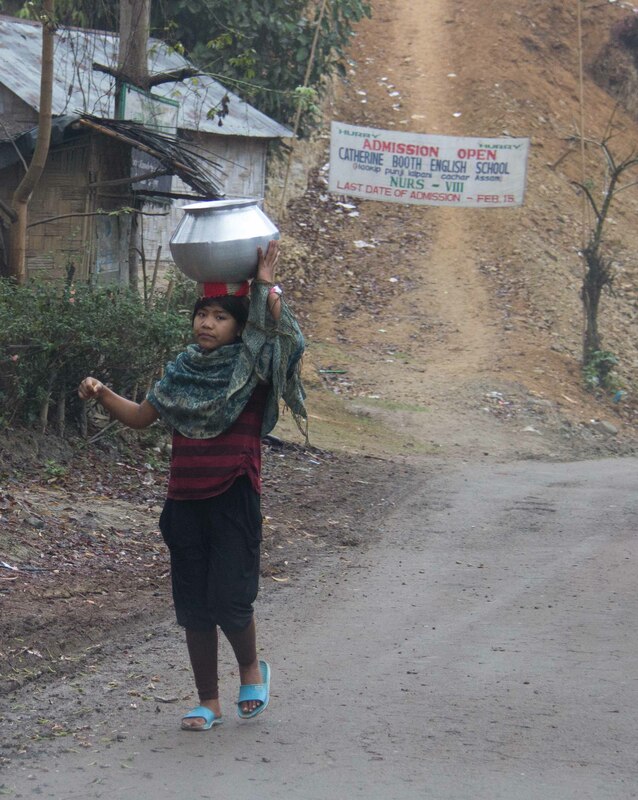 Research complete, we left Guwahati headed south and into the state of Meghalaya. We caught a glimpse of a nice looking restaurant with plenty of parking that was set back quite a way from the blaring horns of the main road. As luck would have it, there was a helpful tourist office located just above it, and the worker there got us permission to park there for the night – though we did stop into the restaurant for a token serving of vegetable pakora and tea to justify our parking spot. 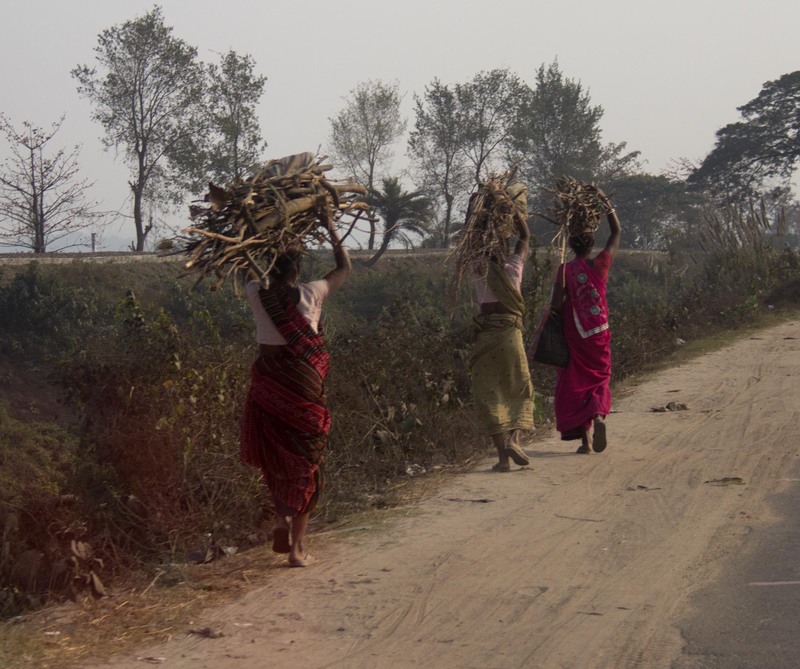 Some twisty roads would carry us further south, towards the Bangladeshi border. The age-old problem of Ivor’s brakes reared its ugly head once more – coming into a lay by of loose dirt the rear passenger side locked up, and on closer investigation was getting far hotter than it should be. Avid readers may recall that it was this very brake that caught fire in Vientiane, Laos. We backed off the shoes away from the drum and carried on our way. We’d also seen a trace of axle oil appearing on the hub, and though we had a spare we decided to try and source another in case we actually needed to use it – it was still a long way back to Europe after all. There was a resort at the village of Cherrapunji that was only too happy to have us parking there for a couple of nights. When we say resort, it’s really what they call themselves, think more along the lines of an education centre with some accommodation attached than purpose built hotel with swim up bar and all inclusive dining. After some more health checks for Ivor we awarded ourselves a Valentine’s night meal at the restaurant, and watched the film ‘Ghandi’ in the truck before bed. Now apparently residing in the ‘wettest place on earth’, (other than an ocean, obviously), it should have come as no surprise to us that it was raining this morning, even if it was dry season. Boasting an impressive 11.7 meters of rainfall every year, the Cherrapunji village took the soggy crown from Hawaii’s Mount Waialeale, which was thought to hold pole position until recently when it’s meagre 11.4 meters per annum was found to have been surpassed. With the clouds thinning around lunchtime, we took a shabby printed out map from the resort and set out on a hike down one of the gorges in the area to hunt out one of the other reasons that the area is famous on a global scale; it is home to living root bridges. The locals have long since dispensed with more familiar building techniques for crossing the areas waterways, and have instead trained the roots of a unique species of rubber tree to grow into immensely strong passage ways. Some were first started over 200 years ago and, unlike normal constructions, grow ever stronger. The map was surprisingly efficient, and we found the bridge without a problem. It was an impressive sight, and really quite stable to cross. The rain in the morning had delayed us, so we didn’t linger – hoping to climb back out from the valley and head to a viewpoint where, if breaks in the cloud permitted, we would be able to gaze out at the plains of Bangladesh from the edge of the escarpment. In fact the weather was not playing along. When our two sweaty hikers arrived, panting after a 10 kilometer speed hike, they would be greeted only with the view of clouds that were above the plains of Bangladesh. A little disappointed we started the return hike towards the resort just as the sunlight was fading, and the clouds were returning with a vengeance. Luck can be a fickle creature at times, and once again our fortune flipped – just as the first raindrops were beginning to fall and seconds after Kim had uttered the words “perhaps we’ll get lucky, and we can hitch-hike back”, a car pulled up and two English accents offered us a lift. The car belonged a couple who had spent a long time in the British Isles, and who had only recently returned to resume lives in India – Robin had been a ferry captain on the Irish sea, and Janette an event organiser and radio DJ in London. They drove us all the way back to the resort, where the rain was now truly pouring, and we chatted to them more inside the restaurant as we supped our way through a good few pots of tea (which they insisted on paying for). With the Burmese border crossing looming ever closer we would have to leave this wonderful area today – even though it would have been very easy to linger for quite a while longer. We did another drive-by on the Bangladeshi view, but would still find the cloudline separating us and the elusive plains. At the viewpoint, how can it be clear up here, and cloudy down there?! Nevermind, there was still one hike for us to do, down into a different valley. Leaving Ivor parked by tiny village school, we unfolded another piece of hand drawn cartography from the resort, donned our hiking boots, and set off down near-endless steps to find a famed double-decker root bridge. On route to the double-decker were slippery rocks, some more conventional (but still dodgy) wire rope bridges, and the world longest living bridge; which spans 45 feet, and was considerably less stable than the one we’d seen the day before. Finally we came through a tiny village and only to find the two layered natural bridge heaving with tourists – there two Indians, and another two westerners. But pretty soon all the other westerners left. With all the enjoying ourselves that we’d been doing, it was time for us to get a move on. 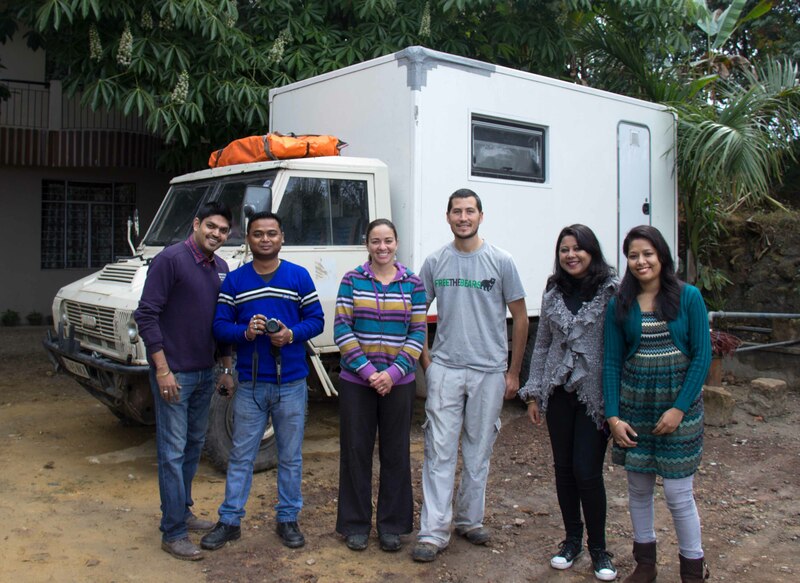 We stomped our way back to Ivor, and set a course for Imphal; the capital city of Manipur. Time had slipped away from us a little today, by the time we stopped for lunch we realised it was 5pm and we’d only have another hour before the light left. We were forced to drive a little in the dark until we saw a load of trucks pulled up by another petrol station – tired from driving in the dark and the rain we tucked Ivor behind some trucks in the least conspicuous place possible, keen to avoid the ‘where you from’ conversations that usually surround our arrival. Thankfully we cooked our dinner in peace and got ourselves an early night. Today was set to be a bit of a drag – with endless traffic, endless potholes, and bad weather we managed about 250km through the Jaintia hills before reaching the town of Silchar. It was 4pm, and we decided to use the last couple of business hours to scour the local garages for an extra spare hub seal. Our internet research showed that a few Indian vehicles (mainly tractors), took seal with correct diameters that could be made to fit just to get us through – but alas, our search in Silchar was to be fruitless. We pulled into a gas station just the other side of town and the friendly guy at the cash desk warned us against the perils of driving at night, he offered us use of his forecourt and we were only the keen to accept. We cooked in the back and got another early night. The excitement of day 300 would be lost on us for the moment – with yet more poor weather and Imphal still 260 kilometers away we were up and on the road at 6am to get the best start possible. At first conditions were good, and we made it to the border of Manipur state within the hour. We registered our passports at the police checkpoint and carried on – with a warning from the police chief that we still had a long day ahead of us. The roadsigns in India deserve a special mention, or indeed their own gallery. Though they clearly don’t work since the standard of driving is abysmal, their intention is well meaning; “Drink Whisky, Drive Risky”, and “If Everything Comes Your Way, You Are in the Wrong Lane” being personal favourites of ours. Not technically a road sign, but lovely enough to earn it’s place in the picture sequence. We accidentally drove through a subsequent police checkpoint by a bridge, mistaking the un-uniformed officers for hitchhikers we just went straight past them. A larger group of men did a better job of slowing us down up in the hills by totally blocking the road, and by having big nasty looking guns. Some phone calls were made, the idiot tourists were mildly reprimanded, and we were on our way once more. This picture is upsetting symbolic of India’s problems as a whole: A young girl walking away from a school, doing the daily water run instead. Manipur sports lengthy borders with both Burma and Bangladesh, and as such has a significant drug problem; smugglers. The industry is so prolific that unfortunately the authorities have little control over certain areas, and in fact the UK’s foreign commonwealth office even advise against any travel outside of Imphal because of this. Now the old FCO have been known to go a little over the top every now and then, but it is still worth exercising some caution when they paint an area of a country red on their website –The armed military patrolling the road on foot also served as a healthy reminder; we really wanted to be out of this place by nightfall. The road was also in bad condition, with sections of tarmac missing for 10’s of kilometres at a time, and the clay topsoil had turned to slime in the rain of the last few days. We were fortunate in a way, since we had discovered later that there was a strike on at the time, which meant no one could buy fuel in Manipur (more on the cause of that later), and better still, we’d filled all our tanks and jerry cans that very morning in Silchar, in Assam state. The traffic was notably reduced on this terrible road, most notable was the absence of trucks which would have held us up yet further. There was one particularly shocking section of track where we saw a convoy of four wheel drive military trucks coming up in the other direction all sliding diagonally as they tried to crawl their way up the hill. Coming down we had gravity on our side, and Ivor was so enthused by this that he made an overtaking move on a particularly sluggish truck in front of us – we got past even though it meant going a good deal more sideways than Ivor had originally intended, the move was met with the cheers of locals waiting at the bottom of the incline. We pushed on, and at around 5pm we finally made it onto better roads, though there were still many police check points to blight our progress. We crossed the last ridge before the drop down to the plain on which Imphal is located just as the sun was setting. With our target so close we decided to push on despite the failing light. After the last few days we were pleased only to have 3 hours ahead of us to the border town of Moreh. The roads were good, and the sun had come out again at last. There were a few more checkpoints to navigate / surprise with our arrival, but nothing held us up for long so we arrived at the Moreh fuel station at around midday. Julian and Ali, an Aussie couple that we had met at the campsite in Pokhara, Nepal, were already there so we parked up with them. It was not long before other members of the Burma crossing party began to assemble. The forecourt was out of action anyway due to a strike, and the workers were pleased to have a whole host of travellers show up that they could practice their English with. It will be nice to go to a country where the cows are not ‘Holier than Thou’, and no longer have an attitude to match. Clearly not fussed by 4 and a half tons of Ivor cruising past. We whiled away the afternoon chatting to the other travellers (who you will be introduced to in Burma), and got on with a few Ivor jobs that had been added to the list since Darjeeling – not least a flat tyre that needed to be fixed since we’d been running on the spare for about 3 days, and a throttle cable that had become increasingly sticky in the grime of yesterday. We were also lucky to find a bottle of oil/radiator repair fluid had left all of its contents on our garage floor – this was Kim’s job of the afternoon. Border crossing day is always exciting going overland, there’s the promise of a new land to discover, the completion of one chapter of the trip, the nerves of dealing with officials, and the wonder as to what bureaucratic gibberish they will dream up. Today was all of that and more, because to cross Burma is one of the ultimate overlanding goals. Until very recently the land borders had been firmly closed to ‘third country’ travellers, and on top of that, we had so nearly managed to cross in a westerly direction from Thailand towards the end of last year – and crumbs, this might actually finally happen! There was just one problem though…. … you remember that fuel strike we mentioned? Well, there had been a mishap in Burma two weeks ago. Two Indian businessmen had gone missing on the Burmese side of the border, and the local authorities were not doing anything to look for them. This caused outrage in the Manipur population, so there was a ban placed on the sale of fuel in the region, so business ground to a halt and the National government was forced to take note – and shutting the land border at Manipur on the Indian side was just one of the ways that they chose to display their displeasure to the Burmese. 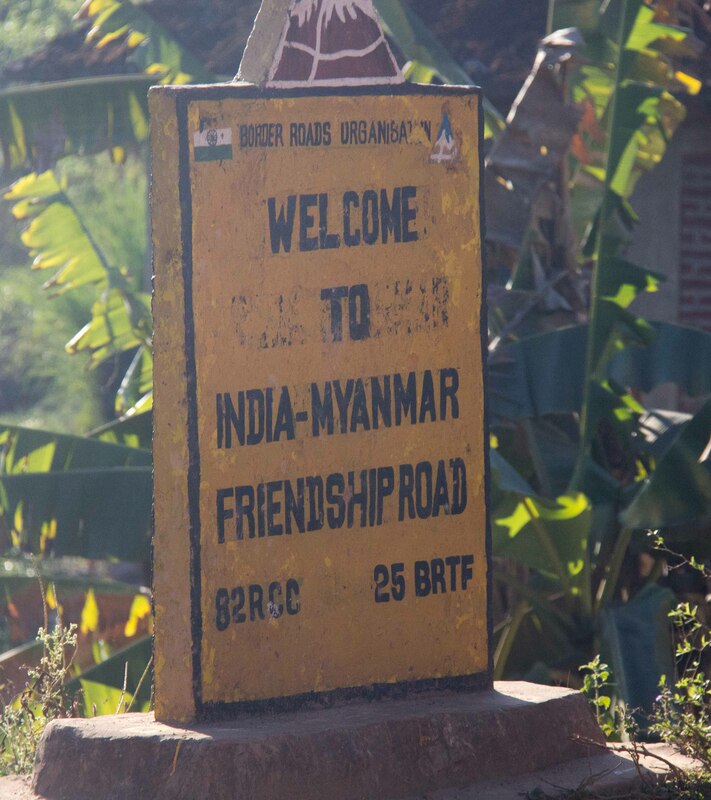 So there we were, on a closed petrol station forecourt, at the border of India and Burma, with the border closed on the Indian side. It didn’t look like we were going anywhere. Sometime early in the afternoon, we had heard that there was a party of travellers preparing to leave Burma and that our paperwork would soon be needed to enter. Photocopies of passports were made, and shuffled towards the border post, and it looked like we were all set to move. Finally the word was given, engines rumbled into life, and a steady procession of mis-matched vehicles made its way towards the border. Obtaining all the stamps and squiggles that we needed to leave the country, we were then free to cross the no-man’s-land bridge and at last enter Burma. The officials were all very efficient, and although it had taken all day to get just a few kilometres we were at least in. The reason for a change in the border stalemate remained unclear until, once camped up on a football field at the first town inside the border, someone said that they had spotted two coffins being transported in the other direction – and that our Burmese guide had confirmed that sadly they were containing the two missing businessmen. That night we went to dinner with the Aussie couple, and then on returning to the campsite entertained three of the motorcyclists for a drink in the back of Ivor of horrifically cheap Indian rum that one of them had picked up. We stayed up some way past our bedtime, but on some level at least we had something to celebrate; all the effort had paid off, we’d finally made it.